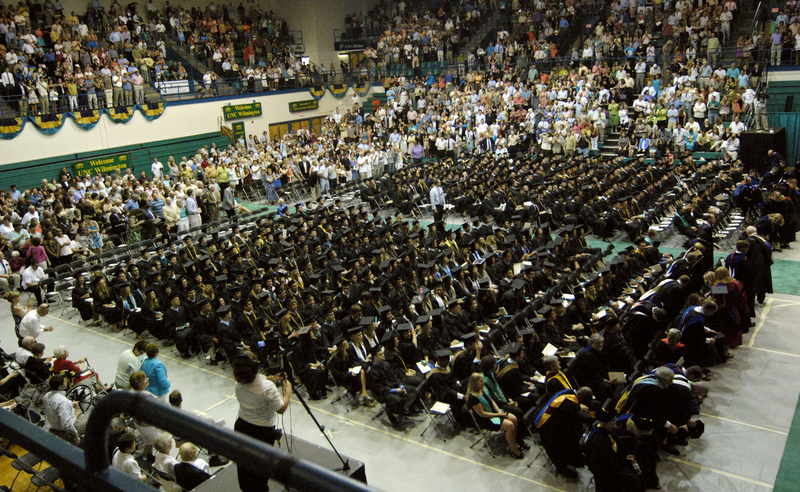 When I first started my journey at UNCW, like many other freshmen I was disoriented, puzzled about my future and overwhelmed with what college had to offer. I have lived in Italy for 16 years and living with two cultures has always been part of my life. The quest I went on when I decided to move to the United States for college and apply to UNCW was one of the hardest decisions I’ve ever made in my life. I took more than one risk but I can honestly say that in the end I don’t have any regrets. If risks aren’t taken in life, then it’s truly not worth living. Overall the decision I had to make was not an easy, nor a quick one, but either way I knew that it would be a life changing one. For me, “personal success” is more than just maturing academically, and UNCW has allowed me to achieve this and beyond. I am proud of my dual citizenship and all the pros and cons that have come with it. My experiences and background have helped enhance my experience at UNCW, and it was well worth the journey. I believe that my education is the first and most important building step towards achieving my life goals, and UNCW has allowed me to do just that. Classes like Capstone and many other I have taken in the Communication Studies Department have not only prepared me for the future but, most importantly, they have excited me about my future. As someone who has lived in the United States for less than five years, I can honestly say it is not only relieving, but also rewarding to know that I am one of the youngest graduates in my class and that I have successfully achieved the same level of academic recognition that people who have lived their whole lives here have. Throughout the years my family has allowed me to further shape myself into the person that I am now. My parents were in fact the ones that let me take on the most important experience that I’ve had so far in my life. I don’t see graduating from college as the successful termination of a chapter of my life, but rather the beginning of a new chapter in which I prove to my parents that all their support and everything they have done for me has allow me to successfully accomplish my dreams. The pressures to start my career and succeed in life are two things that have been more and more often on my mind, I’m sure like many others of my fellow college graduates as well. I could not go to the point of saying that UNCW guaranteed me success in my future career, but I can truthfully say that it has given me the confidence and preparation I need to leave the UNCW “nest” and enter the real world; and this is more than I could have ever asked for. Ultimately, part of the post-grad adventure is really trying to figure out who you are and what you value. As I said earlier, for me, graduating from college is the final move (or leap) into adulthood. It is now 13 days until the day of my graduation and as I am writing this final blog post, looking back on where I was four years ago and where I’ve came from, I can honestly say that I wouldn’t want to be anywhere else.